The Barça Lassa basketball team hosts the Oklahoma City Thunder in an exhibition match this Wednesday at the Palau Sant Jordi. 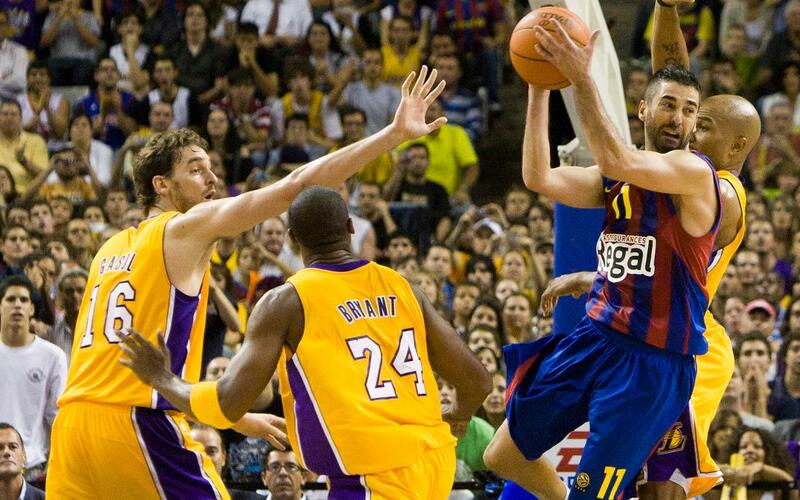 It’s the eighth time that the Blaugrana have faced a team from the NBA and their first ever meeting with the Thunder. The game also throws up the chance to see former FCB man Àlex Abrines in action alongside the visitors’ biggest star Russell Westbrook. And it’s also the perfect test for the Catalans just as the domestic hoops season is kicking in. One thing is for sure. It’s going to be quite some show. It always is when teams from the biggest league in the world are in town. The most memorable intercontinental clashes in recent years have been those against the Lakers, and in this video you can enjoy highlights of the games with the side from LA, who at the time included Catalonia's own Pau Gasol. Who could forget the face-off between Pete Mickel and Kobe Bryant, or the jaw-dropping performance from Navarro as he collected 34 points, six assists and six rebounds at the Staples Center, topped off by a perfect counter-attack that you can now enjoy all over again!